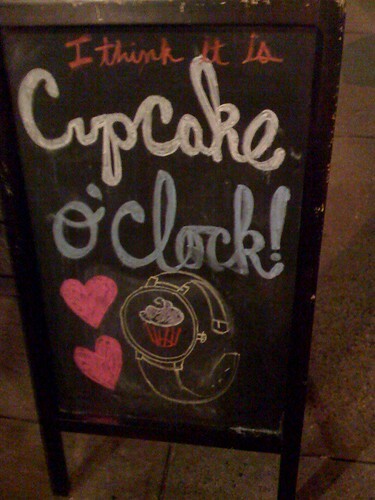 Isn't it always cupcake o'clock? I had a meeting with someone the other night, and I tend to always suggest cupcake bakeries to meet at, because they're so cheerful, and you always endear yourself to people by buying them a cupcake. We met at Butter Lane in the East Village (NYC). And then I got a special treat: the Elvis cupcake! Not officially on the menu, but they will make it for you. 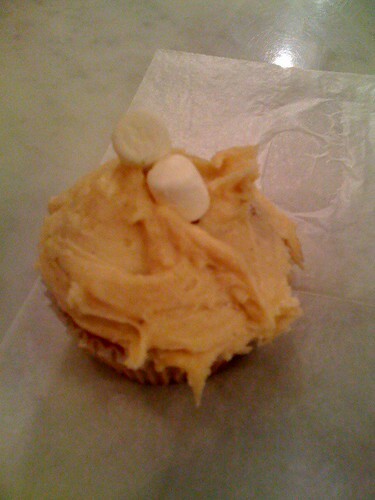 It's banana cake with peanut butter frosting and two mini marshmallows on top. Absolutely delicious. That banana cake rocks on its own, or with the cream cheese frosting.